This Lenovo T510 features a blistering fast Intel i5 dual core processor and 8GB of memory to boost productivity wrapped in one of the most durable laptop chassis available! Lenovo have a great reputation for solid build quality and this is no exception. 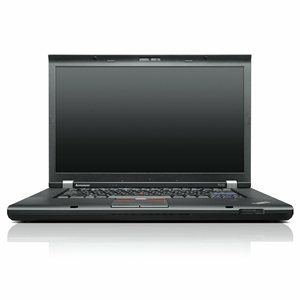 The 15.6-inch T510 follows the standard ThinkPad recipe of a durable plastic enclosure wrapped around an internal roll cage that protects the internal components. The black plastic features a matte finish that is immune to fingerprints. This laptop comes with 320GB hard drive as standard however this can be upgraded to a larger HDD or super speedy SSD (solid state drive) with read/write times more than 3x the speed of HDD by click the tick boxes above the "Add to Cart Button".